Are You a Noun or a Verb? dutifully present candidates as a list of nouns enumerating their previous roles and titles. But nouns are static. They are dead. Never define yourself as a noun. You are not a sales manager. You will double the companies sales next year. 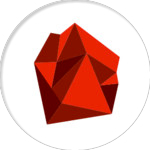 You are not an experienced Ruby programmer. You will increase development speed and decrease defects. Be a verb, not a noun. Who you are doesn’t matter. It’s all about what you do. During one of the breaks at this year’s HackOsaka event I was talking with two budding entrepreneurs about the local startup scene. They complained that one of the biggest challenges facing new Osaka startups was that there was no real community of entrepreneurs they could turn to for support. There are plenty of entrepreneurs in Osaka, they explained, but they don’t really get together to share ideas and support each other. I suggested the obvious; that the two of them start such a community. After all, we were discussing this problem in the middle of a venue specifically dedicated to promoting local entrepreneurship and filled with people looking to connect with other entrepreneurs.